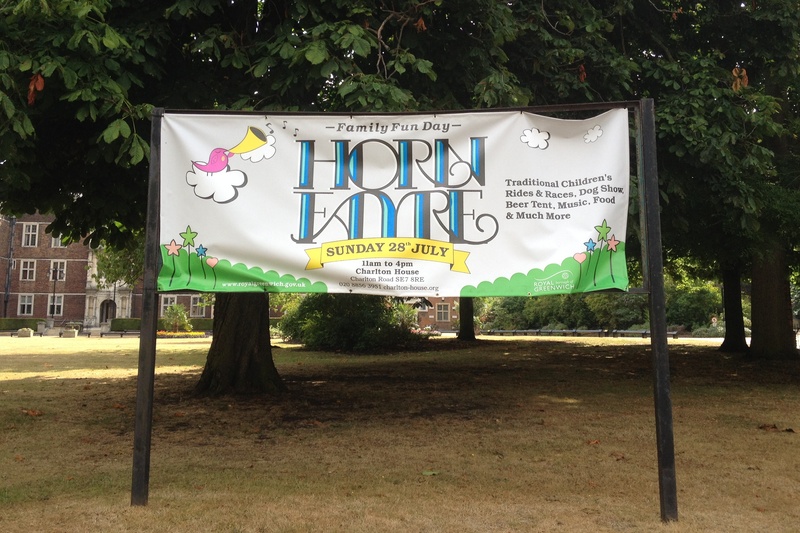 The Horn Fayre takes place at Charlton House this Sunday, 11am – 4pm, and promises “traditional children’s rides and races, dog show, beer tent, music, food and much more”. Speaking of Charlton House, it appears that their website has been refreshed. It looks like a work in progress at the moment, but given that there was practically no information about the Horn Fayre online until the last couple of days – and the old website hadn’t been updated this year – this looks like a positive development. Enjoy the Horn Fayre if you’re going, and tell us what you thought of it in the comments below! Next Article Fancy a green-fingered trip to Hatfield House? I found this v disappointing. Blaring speakers, bad music and limited stalls..children’s races seemed to go down well but there wasn’t much entertainment for smaller children. Well, I don’t know. I can see that it is not the event to end all events, and there wasn’t a great amount to do, but I’ve definitely seen the Horn Fair (sorry, can’t use the y spelling) quieter and more underwhelming than this in previous years. It was good to see a beer tent there, the dog show was carried on with good humour, kids seemed to like the reptiles and the craft stands, and the jerk chicken was really good. Oh, and I won a print in the Aperture raffle. – what should have been added for small children? Is there anything in general that would make the day better for families? – and, who organises the Fair, so if we did between us come up with some better ideas and some volunteers to run them we could get them included next time? I agree with Nikki basically, although like se7mummy I did feel that the event underperformed. I missed last year (the event, not the year) and yesterday was a definite improvement – the beer tent, the live music, no owls. Obviously the weather played/plays a large part in the success of the day. My first suggestion would be to properly publicise the fair, if it wasn’t for this blog and Twitter I think I would never have heard of it let alone attended. If the numbers go up then hopefully the quality and quantity of the stalls will improve. The ones that were there were ok but nothing leapt out and you could browse them all in under 20 minutes. As the freeholder of two small children I wasn’t too impressed with the bouncy slide (£2 each for 4 goes on a tiny slide!) but the big wheel type thing was decent. The races went down well but you had to get there very early to get your name down and it seems a shame. Could this be expanded to have different age groups (Dads, Mums, 20 somethings etc) and go on longer perhaps? Also, just an idea but rather than a massive empty space in the middle how about an olde fashioned maypole, with someone on hand to demo dances round. Agree totally that it would be good to have an idea of who organises the event, would happily get involved next year if I had any idea who to talk to.